You are currently browsing the daily archive for April 2, 2008. It’s as simple as this: the buffleheads and brants are here in winter. Come spring, they leave. 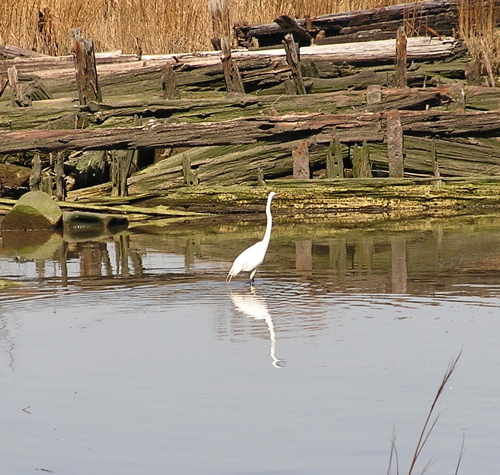 Then herons and egrets return. This one remained quite busy fishing amidst the hulks on Sunday. Notice the hue of the egret’s plumage. 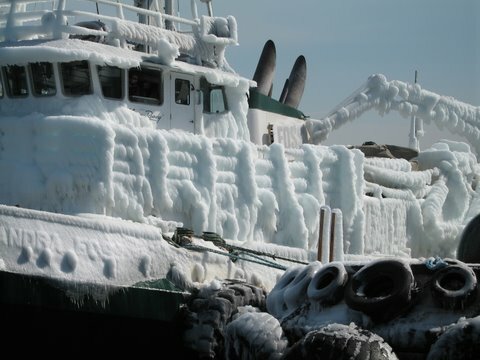 If you need a reminder of winter’s transience, here’s the tug currently called Orion as it arrived in Boston in February 2007. Next two fotos courtesy of Capt. Ted. The “white ice” has the same hue as the egret’s feathers and encases the vessels only until the inevitable thaw. 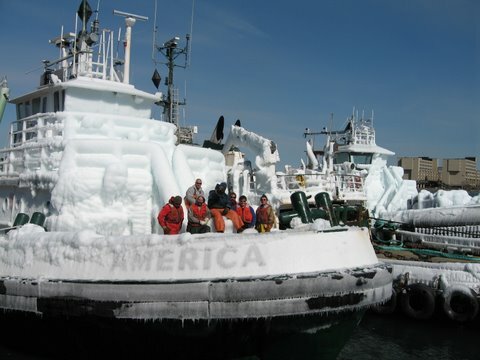 This befrosted one escorted Orion and Leo from the northwest, through the torrid Panama Canal, and into port of Boston.